Established in the year 1991 at Meerut (Uttar Pradesh, India), “Super Tech International” is the prominent name among our clients spread in different parts of the world. 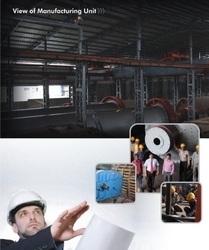 We are engaged in Manufacturing, Exporting and Supplying superior quality range of Cement Plants, Bucket Elevator, Belt Conveyor, Cement Plants, Ball Mills, Roll Crusher, Jaw Crusher, Grinding Unit Rotary Dryer, Rotary Kiln, Clinker Grinding Unites and Screw Conveyor. Grinding Unit and its Components. These cement plants & clinker grinding units are offered in the range from 50 TPD to 2000 TPD (tons per day) and above to suit the requirements of our valuable clients. Since inception we have supplied nearly 400 (complete cement Plant (VSK) & Grinding units) plants in India and in Abroad, Tanzania, Oman, mainly in market Asia and South Africa. For meeting the diverse demands of our client's in timely manner and as per their exact requirements and specifications, our staff members are dedicated to hard work. With the domain of expertise team, ours is a reckoned name in the industry for manufacturing these product range. All our efforts are intended for achieving the utmost client satisfaction. We also take extreme efforts in packaging and to deliver our consignments within the given time period. Owing to quality standardization and ethical trade practices, we are widely acknowledged by our clients spread over Globe. 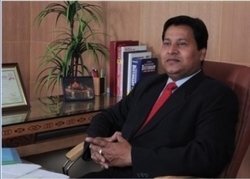 The man behind conceptualizing and creating complete cement plant, enables service company providing manufacturing, consultation and handling Back operations of 400 different cement plants in INDIA and Abroad. He is a Self-motivated, dynamic entrepreneur who has started his commercial / business life from very limited field but later he diversified into many other fields areas like fertilizer and chemical plant beside Cement plants. He possesses, 25 years of experience in cement plant manufacturing and consultation. His expertise is in the areas of manufacturing, erection and commissioning of cement plants and also in bock production operations. His understanding of process operation helps in delivering exceptional customer experience to our clients. Our state-of-the-art manufacturing unit equipped with highly refined and speedy machinery and equipment which helps us in ensuring efficient business operations for our product range. The manufacturing unit is spread over broad vicinity and is separated in to diverse sections such as production unit, design unit, quality control unit, R&D unit and warehousing & packaging unit. These divisions are facilitated with modern machinery and processing tools and work in well planned manner that ensures the smooth and speedy production. State-of-the-art, high speed and latest machinery and equipments. Generator systems, to give power backup for unlimited hours. Fully computerized office with server system based on Pentium IV and 24 hours internet facilities. We owe our success to diligent team, who works in harmony and has been dominant in the growth of our organization. They are dedicated towards quality and client's satisfaction, which made us trustworthy name in the industry. Our professional team members are proficient in designing and developing our product range as per the international quality standards. To enhance their proficiency in the respective domain, we organize crucial training sessions for our team members. A huge pool of experienced and qualified manpower that can continue to cater to the growing demand for cement plant industry. Super Tech International has the brand equity in major markets, thanks to its growing and globally competitive cement industry in the world. Faster Turnaround Time - Since the production facilities of Super Tech International are bowed in Meerut, India. We take a turnaround time of 30 to 90 days depending on the client satisfaction.